Inspired by a life along the shore, Sperrys are the perfect combination of comfort, versatility, and clean New England style. Keeping these iconic boat shoes looking fresh through use, however, can be a bit of a challenge. Whether it’s mud, water, or everyday wear, these off-duty favorites tend to show use easily, and keeping your look on point means regular upkeep. Luckily, bringing these classic shoes back to their original splendor is easier than you think. 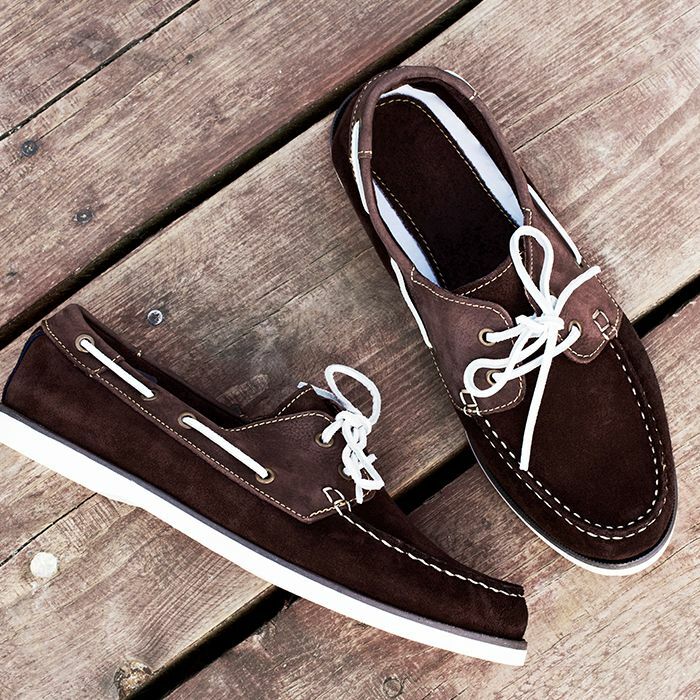 Keep reading for our essential guide to how to clean Sperrys in just four steps. Classic Sperrys are best cleaned separately from the laces, which tend to get rumpled and worn if they’re cleaned in the same way as leather. If the laces also need to be cleaned, place them in a small bowl with a bit of dish soap and cold water. Swish them thoroughly, then rinse with clean water and allow them to air dry. If your Sperrys have removable insoles, these can be cleaned separately as well. Sprinkle dry baking soda over the surface of the insoles, both top and bottom, before scrubbing with a damp brush. As a note, be careful not to get any baking soda on the shoes themselves, since it could damage the leather. Like any authentic pair of boat shoes, Sperrys were made to get wet. Fortunately, this makes cleaning them fairly intuitive. Using either a bucket or spray bottle, fully dunk or spritz your Sperrys with clean, cold water. Next, apply a small amount of mild dish soap to the exterior of the shoes, about a tablespoon per shoe. Then gently scrub the surface of the shoes using your brush. Instead of soap, you can also apply specialized leather cleaner with a cloth. Whichever method you choose, be sure to thoroughly rinse and wipe down the surface of the shoes to remove any residue. Air drying is a key step in cleaning Sperrys properly. Place them in a cool, dry area away from direct heat or sunlight, and stuff them with newspaper to absorb excess moisture and help them retain their shape. After about 24 hours, your Sperrys should be ready to re-lace and wear. Up next, keep reading for the $0 trick for cleaning your suede shoes.